Which is better: California Lemon Lawsuit or Class Action Lawsuit? Owners and lessees of 2014 and 2015 Jeep Cherokee, 2015 Jeep Renegade, 2015 Chrysler 200, or 2015 ProMaster City opted in on a class action settlement over allegations that Fiat Chrysler supplied defective automatic transmissions. Class action lawsuits regarding vehicles are common practice. The problem with a class action lawsuit is that the only people who actually come out with a sizeable settlement are the attorneys and the lead Plaintiff or Plaintiffs. Plaintiffs receive a very small award while the attorneys earn large fees. In addition, class action suits take a long time to settle because of the complex procedures involved. As an example, automakers Hyundai and Kia agreed to pay $395 million to settle lawsuits following allegations that they inflated fuel-economy data. Yes, $395 million is a LOT of money, however, with approximately 900,000 Hyundai and Kia owners involved in this class action, after legal fees and all other costs, Hyundai owners received an average of $353.00, and Kia owners received an average of $667.00. 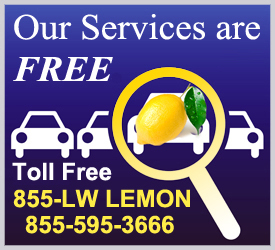 NOTE: Not getting the advertised fuel mileage does not make your vehicle a lemon under the California Lemon Law. Also, recall repairs (repairs initiated by the manufacturer) do NOT count as “repairs” under the Lemon Law. One of the largest class action settlements in recent history is Toyota Motor Corporation’s $1.2 billion settlement in 2014. This settlement was due to unintended sudden acceleration in over 10 million vehicles. It took four years of criminal investigations before this case settled. The Court found that Toyota was negligent in informing consumers of this safety issue and fixing the problems. Between 2010 and 2012 Toyota paid more than $66 billion in fines for delays in reporting the unintended acceleration problems. Defects that are considered safety-related make your vehicle a candidate for a California Lemon Law case. The class action lawsuit against Fiat Chrysler was filed after consumers allegedly experienced problems with vehicles containing a nine-speed ZF 9HP automatic transmission system. If you received a notice of the class action and you did not Opt Out, chances are you are included in the Fiat Chrysler class action and you have given up your right to sue individually. The lead Plaintiff and his or her attorney have control over the lawsuit. If you live in a state that does not have Lemon Law remedies for vehicle owners, this class action lawsuit may be the best you can do with your lemon car. Class action lawsuits against automobile manufacturers provide restitution to Plaintiffs who would otherwise receive nothing because they cannot afford an attorney. However, if you reside in the state of California and purchased (or leased) your vehicle in the state of California, you have the benefit of having the California Lemon Law on your side AND FREE lemon law services! We NEVER charge our clients for our services! Filing a lemon law case against an automobile manufacturer instead of joining a class action means that you are not stuck with having to wait a few years for a settlement, or settle for a few hundred dollars, or get coupons, rebates, or a small amount of money “towards the purchase” of a new car that may have the same transmission problems. Joining a class action lawsuit also means that you are taking a risk on the quality of legal representation for the class members. If the lawyer does a poor job, all members suffer the consequences. 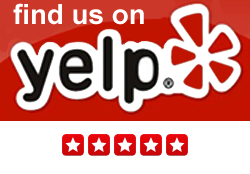 The California Lemon Law Group has a 100% success rate! If you received the notice and you DID Opt Out, give us a call to discuss your situation regarding your purchased or leased vehicle and to discuss options that benefit YOU, instead of a group of people and class action lawyers!